The development of a point-of-care biomarker counter is a breakthrough in medical technology, making it possible for the first time in history to measure platelet activity quickly, easily and at low cost. Activated platelets and specific coagulation factors can be a prediction of an approaching heart attack, thrombosis or stroke, however, no device is available worldwide to measure this in an affordable and accessible manner. Within current state of art technology, platelet activity can only be measured in a few highly specialized laboratories by technically highly trained lab technicians, while the costs are very high and the research takes 1-2 days. In this way the available knowledge that platelet activity is a predictor of heart attacks and strokes can be insufficiently exploited, which is a missed opportunity in cardiovascular health care. The intended development in this project will be developed as a point-of-care tool. 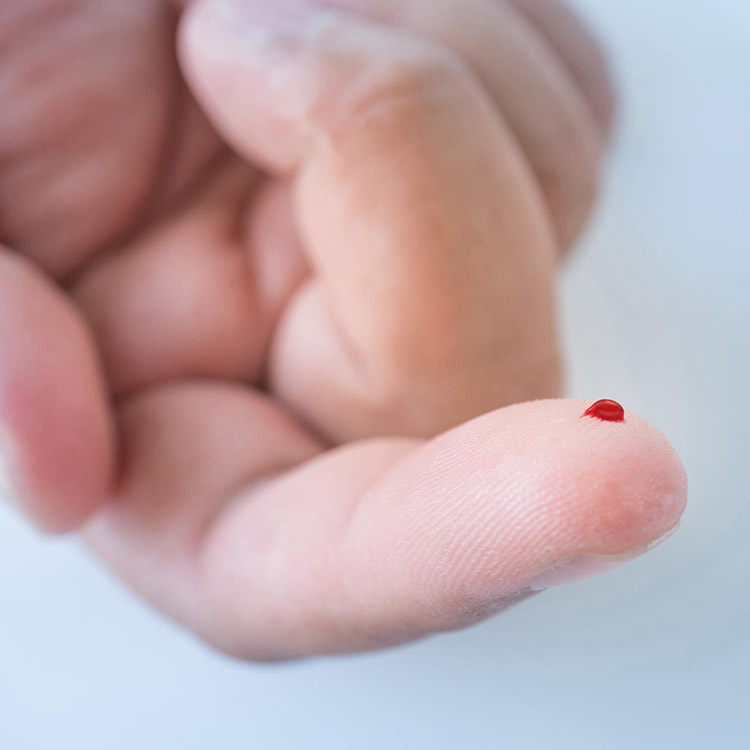 The device can be operated by, for example, a general practitioner’s assistant, requires only a drop of blood and gives the result in 20 minutes. Through experimental development, this project will develop a point-of-care measuring instrument using biochemical techniques (labelling of specific biomarkers in blood) in combination with high-tech photonics techniques (fluorescence measurement). The biomarkers are specifically developed for the early diagnosis (prevention) of cardiovascular diseases, such as heart attack and stroke. The intended development will be tested and validated during the project in order to have a prototype measuring instrument at the end of the project that can be introduced on the market after passing the last mandatory tests and certifications. To put it in the words of Dr. Spronk of Maastricht University: “if this technology is widely used, we can see between 25 and 50% of all heart attacks coming and intervene on time”. This project was made possible by a contribution from the European Regional Development Fund as part of OP-Zuid as well as the Provincie Noord-Brabant’. For more information see EFRO. The photonic (optical) measurement of biomarkers (activated platelets and specially developed plastic beads) in blood samples, and this in very low concentrations. The development of biochemical reagents and plastic beads that can make certain biomarkers fluorescent and thus optically measurable, aimed at biomarkers that predict cardiovascular abnormalities. The development involves an affordable and reliable measurement method, which can be applied in point-of-care instruments, focusing specifically on the prevention of cardiovascular diseases (heart attack, thrombosis and strokes). This is technically very complicated, because very small amounts of the substance to be detected in a blood sample must be accurately measured.